After Auburn (which was so quick I don’t really have any photos of it), we had a day off and decided to find some Thai food and an AT&T store in Montgomery. Seems that my phone has decided not to take or make calls without a crazy buzzing in the background. The AT&T people told me to take it to Apple, which was in Birmingham, which means I have an appointment with them in Austin now. Anyway. We found Thai food in a building that was down by the waterfront (I think the Alabama River? I forget) in an old train depot that is now a visitor’s center. The food was tasty, and then we started walking downtown Montgomery. I knew it was a hub of Civil Rights Movement activity but the city very kindly puts historical markers everywhere so you know where you are. 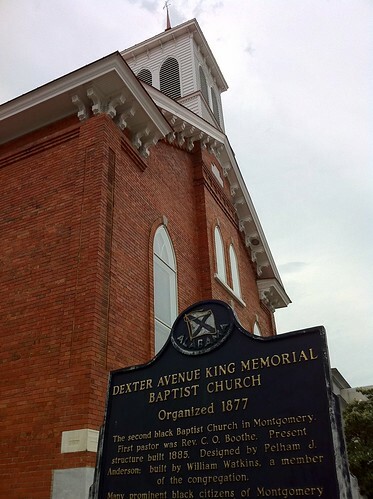 We found Dexter Avenue King Memorial Baptist Church where Martin Luther King, Jr. was pastor for a while and where the Montgomery Bus Boycott plan was hatched after Rosa Parks was arrested. We saw the State Capitol where George Wallace’s infamous speech, “Segregation now, segregation tomorrow, segregation forever,” was given. (Sorry, George…you lose). 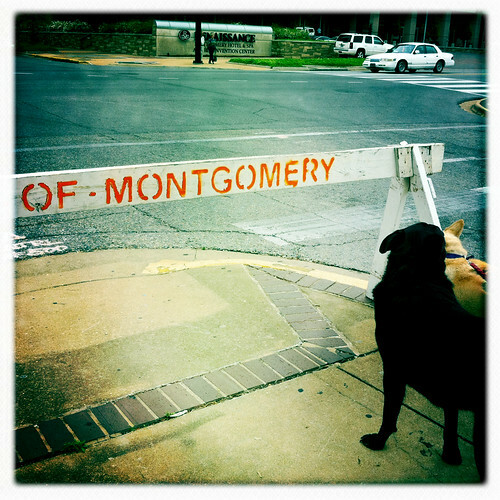 Montgomery was also where Hank Williams had roots and where his funeral happened. 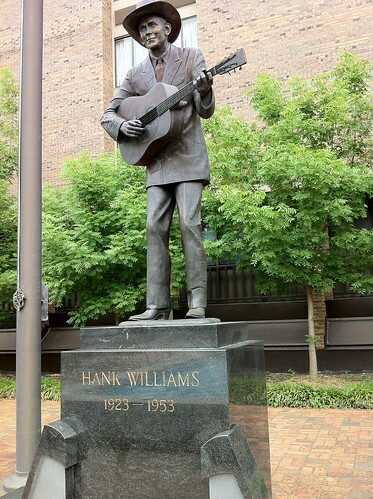 There is a statue of him across from City Hall. 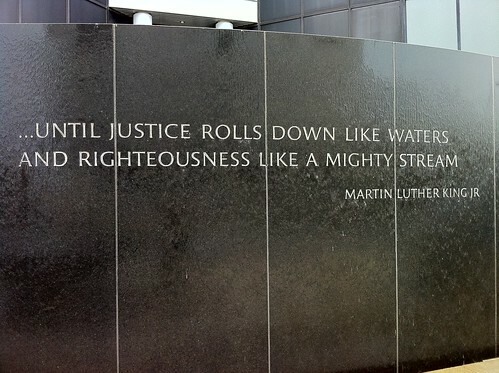 There’s also a big Civil Rights Memorial…we didn’t go in but the outside fountain was designed by Maya Lin, who designed the Vietnam War Memorial in Washington, D.C.